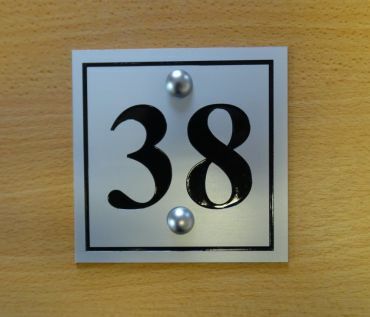 Display your house number with one of our aluminium nameplates. 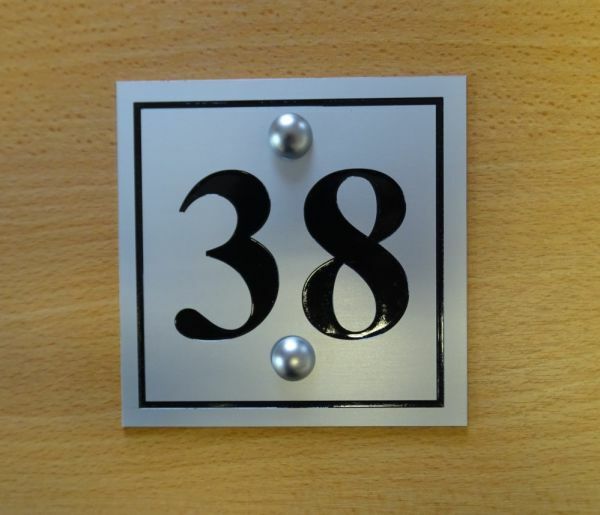 Supplied at 1.5mm thick with bevelled edges (other thicknesses are available), aluminium is a modern material providing a satin silver anodised finish with a deep engraved number/ name. The engraving provides an ever-lasting name/number, a clear advantage to print or vinyl products. Brunel Engraving offer a selection of sizes and shapes as below, for the smaller square sizes, we recommend only a house number to be engraved, for the larger sizes, house names and numbers can easily be accommodated. 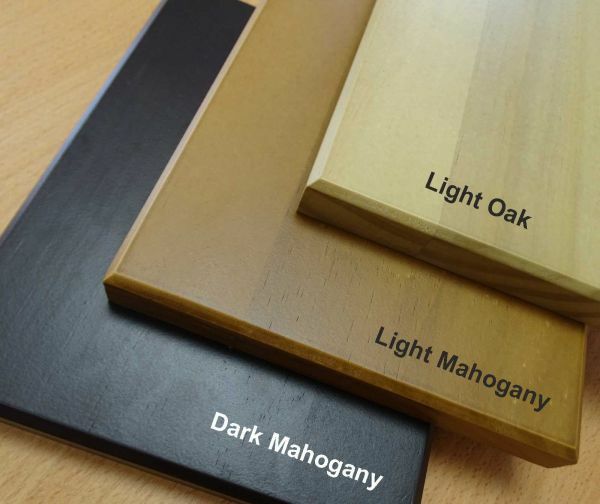 Logo’s, borders and Accoya wood backing boards can all be added to enhance your nameplate. NB A scalloped border will surround and highlight the screws. We recommend that all nameplates are fixed via screws, suitable screws and domed caps will be supplied with your nameplate. If you prefer nameplates can be supplied without fixings. 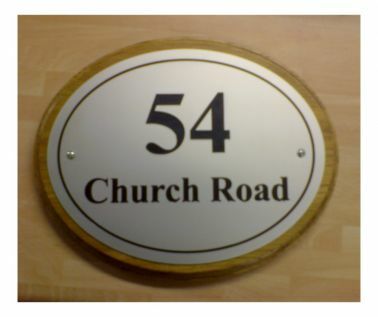 Aluminium House Nameplates can be supplied with screws or without fixings. Screw Fixings:- Plaques are supplied with 4 x fixing holes (2 x fixing holes on sizes 100 x 100 & 125 x 125mm), screws and satin silver domed cover caps. To view a video tutorial on how to fit your plaque please click here. Wooden base fixings:- screws and universal wall plugs are supplied with all Accoya bases. 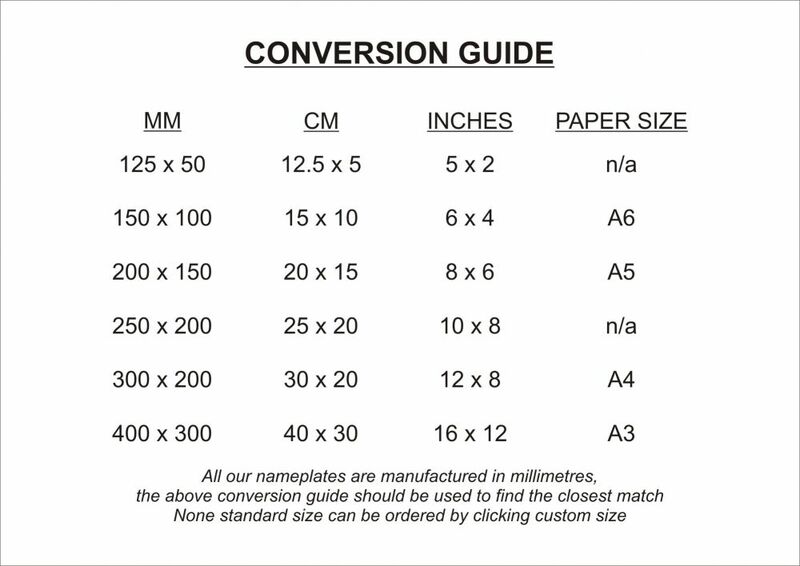 NB Bases are not supplied with fixing holes click here for fitting instructions.